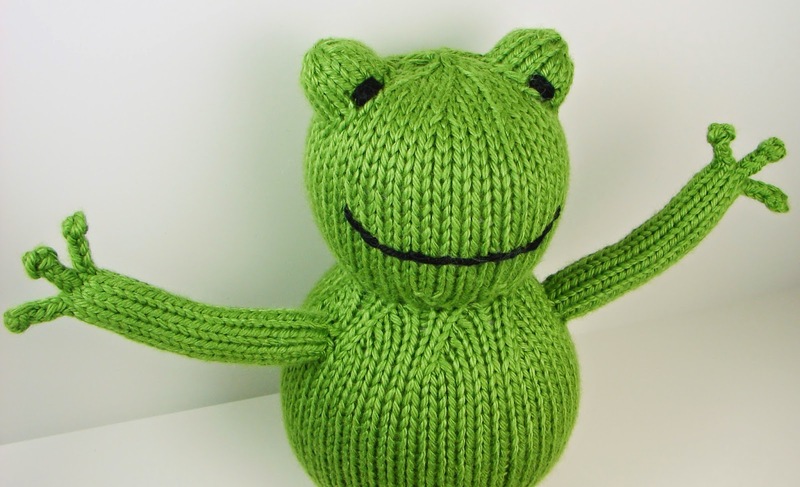 I have another new pattern out! 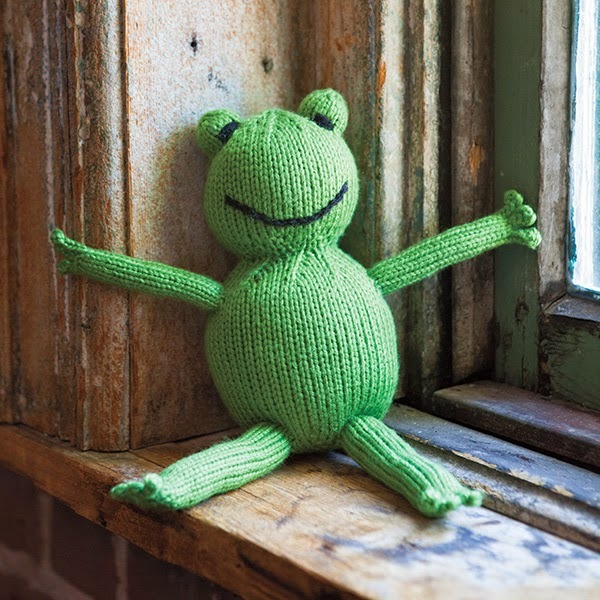 The Froggy pattern is now available as a free download on the Knit Picks Website. 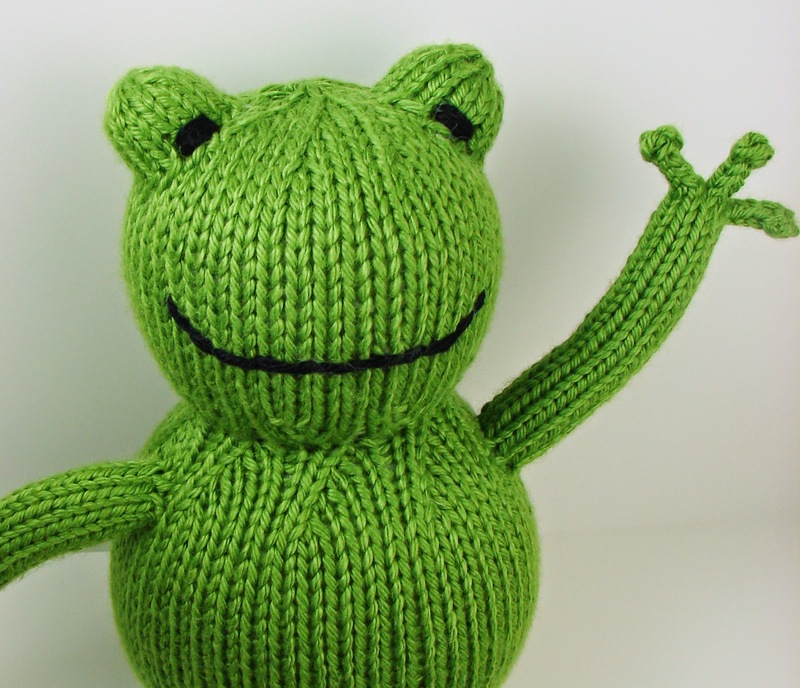 It's a really fun and quick knit. It is also fairly simple, so it's great for beginners. 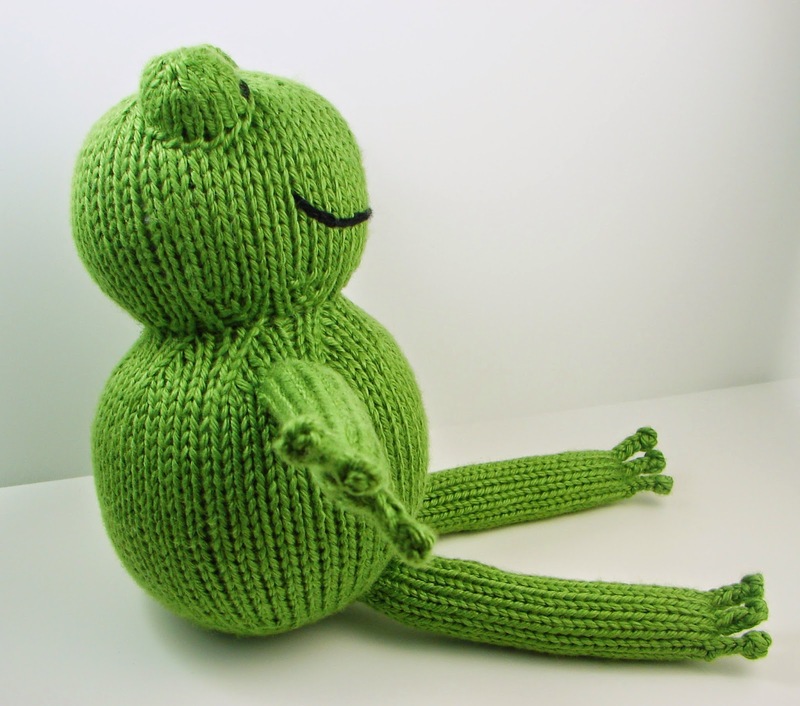 The body and head are knit in one piece from the bottom up and stuffed along the way. 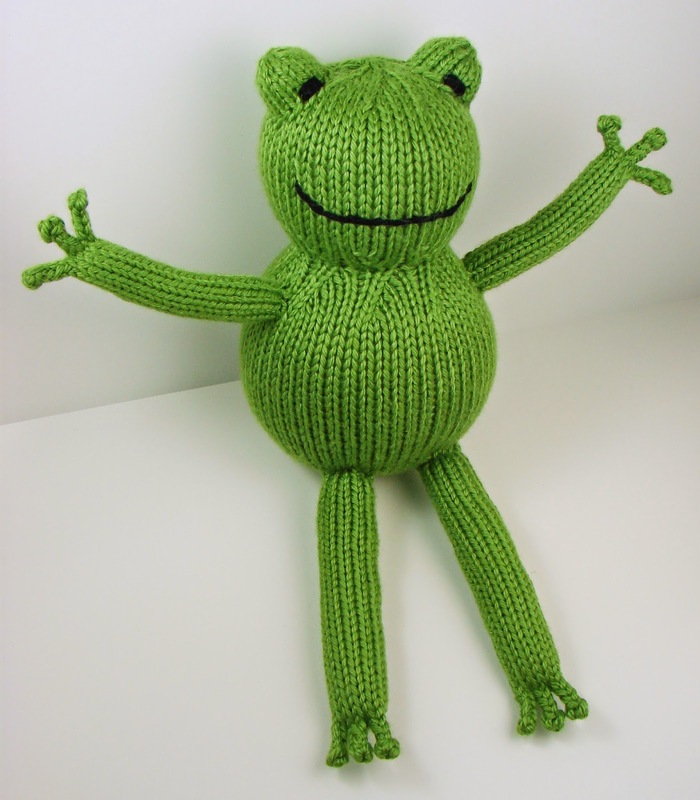 The eyes, arms and legs are worked separately and then sewn on. The fingers are made with I-Cords and are worked as part of the arms and legs (not separately) so that there aren't lots of ends to sew in. All pieces are worked in the round on double point needles. Hope you all enjoy this wonderful little toy! Need help with fingers. 9 stitches to work with on arm. Instructions sat BO 3, K1. That leaves me with 7 live stitches. Instructions say last 4 on on holder, 2 on needle, then 4 on holder. I don't have 10 stitches. I would if I hadn't BO 3 stitches. What am I missing? After you have bound off the first three stitches, you should have one stitch on the right-hand needle and five stitches on the left-hand needle. (9 sts minus 3 sts leaves 6 sts.) Then after knitting the next stitch (the K1 in the directions) you will have two stitches on the right-hand needle and four on the left-hand needle. The first two stitches are the ones that you will continue to work with. The last four stitches are the stitches that will be placed on the holder. You should have six stitches total. For the legs, it is the same except you start with 12 sts and bind off 6 sts leaving you with 6 sts. They will then be worked exactly like the arms were. Thx. Onward. 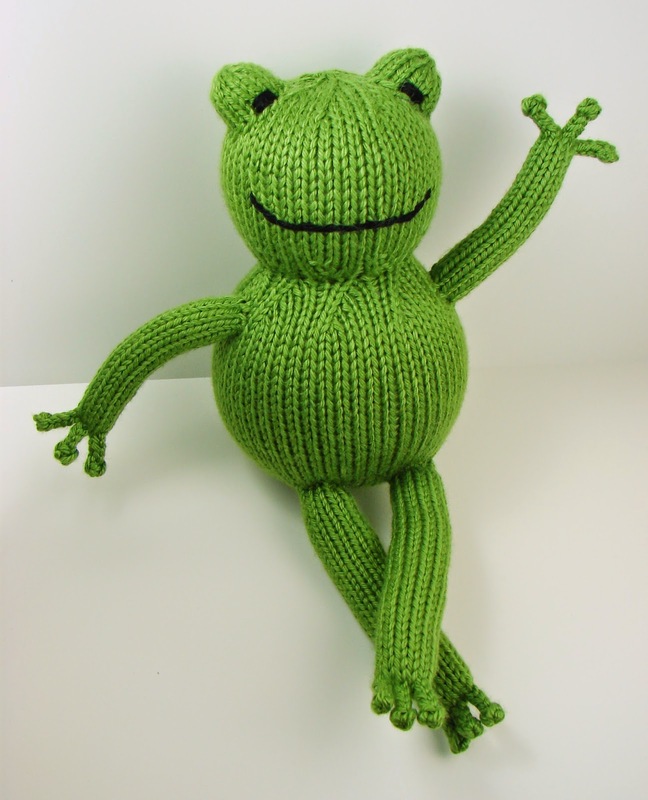 Very cute frog. Will post on Ravelry when done.